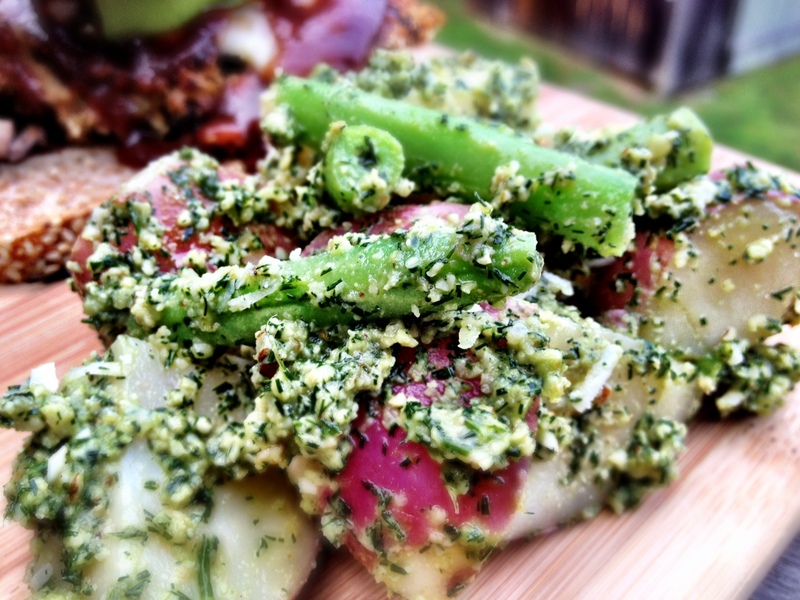 Lets chat about how delicious this potato salad is. It has everything I love. Fresh herbs, cheese, potatoes, and garlic. This salad cools you down on a hot summer day. And tastes extra delicious with a nice glass of cold Rose’ There is nothing better. Once I realized that dill and garlic go together like peanut butter and jelly I immediately knew I had to make pesto. And this particular pesto I knew would taste awesome on some farm fresh potatoes. The result was nothing short of amazing. 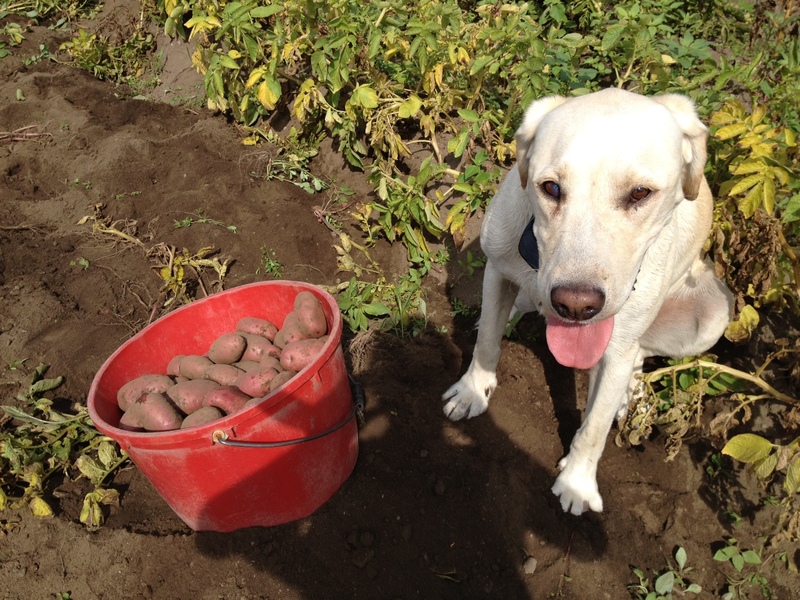 I have Taylor and Henry to thank for helping me pick potatoes on one of the hottest days of the summer. Without them, we would not have had this delicious and refreshing salad. a small handful of parmesan cheese. 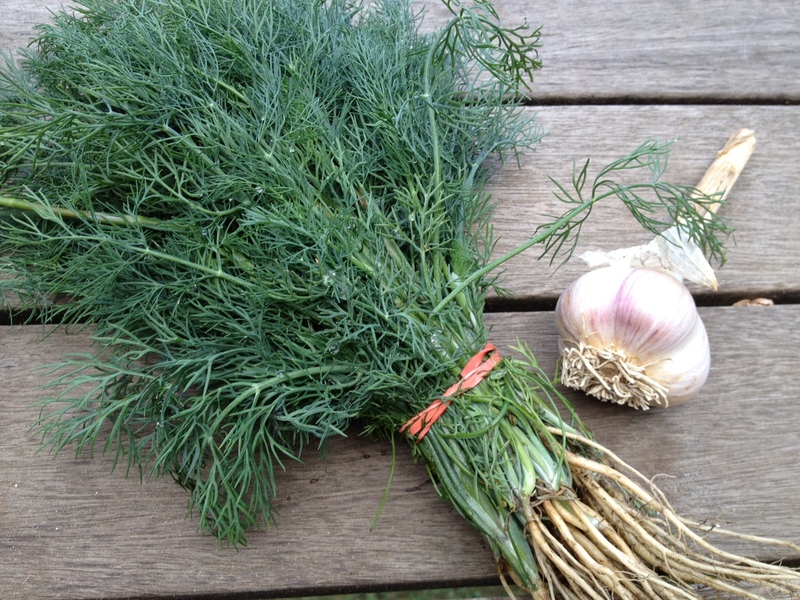 In a food processor blend together the dill, garlic, and walnuts. Add in the oil and cheese. Process until desired consistency. Transfer to a bowl and chill in the fridge for at leas an hour. 5 medium sized red potatoes (or potatoes of your choice) scrubbed clean, and quartered. Place potatoes in a large pot of cold water. Bring to a boil. Boil for about 10- 15 minutes or until you can easily stick a fork through one. During the last minute or two of cooking add about 2 cups of chopped green beans. Drain potatoes and beans and run cold water over them. Place in the fridge for a few hours. 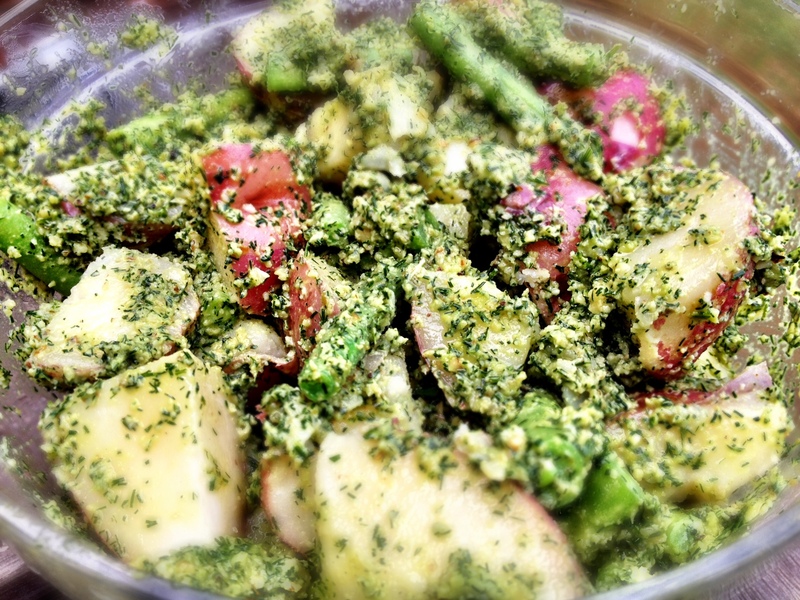 Combine potatoes and beans with pesto and serve chilled or at room temperature. haha! It’s the only way I roll! Henry looks wiped out. It must be tough having fur in this weather. the good news is that there is a river right at the farm. He gets to swim to cool off!! 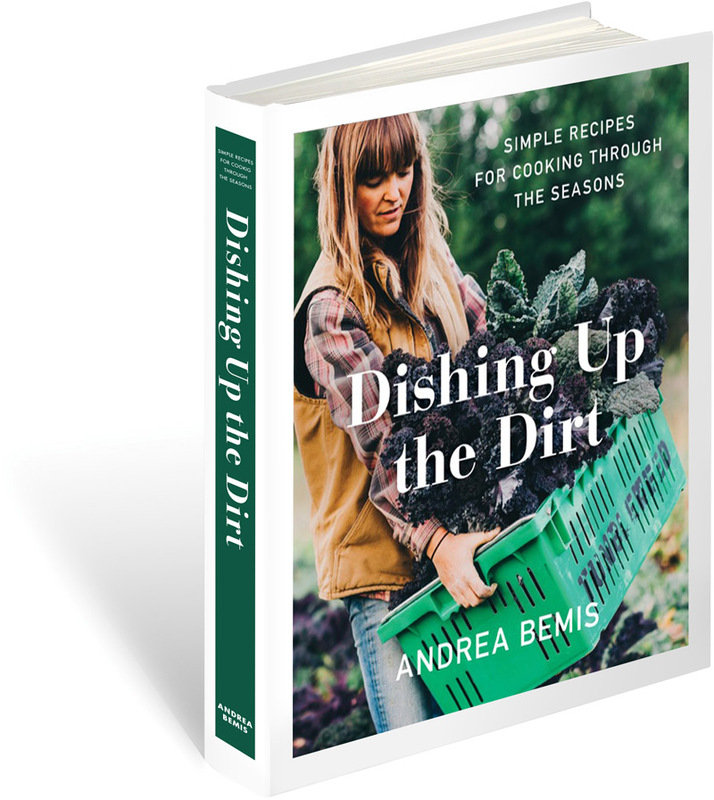 I'm super excited about my new book full of farm fresh recipes and stories straight from the farm. There's a little something for everyone inside. You can order a copy today! Please order from my local bookstore, they have signed copies for a limited time and they'll ship anywhere worldwide!